Julien, A French man in Asia » 香港 Hong Kong – the highlights! 香港 Hong Kong – the highlights! I had the opportunity to stay 4 days in 香港, Xiānggǎng also known in the rest of the world with another name, Hong Kong at the end of December (few days before Christmas). 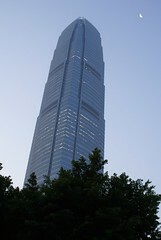 It was my first travel abroad China Mainland since I arrived in Beijing couple of months ago and first time in HK. It was a real pleasure to travel to this place. I will split my travel stories in two parts to try to share my experiences in these places. The first post will focus on the ‘must visit’ sites in Hong Kong and then I will describe in a second post some unusual places without huge amount of tourists and personal adventures. 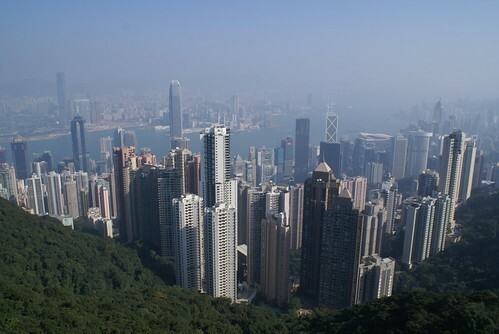 I was really lucky when I climbed to the Peak, hill in the middle of HK Island. 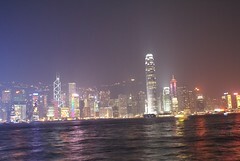 The view is incredible on HK and Kowloon Bays. Every tourist will go to this site with the famous Tram or, like us, with the bus to enjoy the sightseeing. Really amazing! It is recommended to come also end of the day to get all lights on buildings. These boats are one of the famous public transports used by Hong Kongers (even if subway lines and tunnels linked the island to the mainland) and lot of tourists. 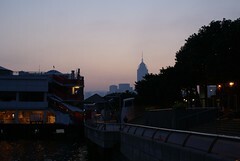 The travel is really cheap (2 HK$ single way) and allow visitors to enjoy the sightseeing on Kowloon and HK. The city changes with last ray of sunshine. 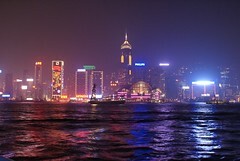 I recommend a walk on Tsim Cha Tsui or/and Wan Chai Pier to enjoy the night lights. I was luckily there during Christmas period so the building lights were incredible. 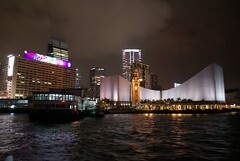 A light and music show (free), Symphony of Lights, is displayed every day at 8pm. It is nice but bit disappointing even if it is announced as the biggest light show in the world. All buildings already get incredible lights so the show doesn’t bring impressive innovations. As I live in Beijing, I was not expected huge things when I went to the famously HK fake markets (Ladies Market, Temple street…). I found exactly the same things that are available in China Mainland (sunglasses, shoes or jewelry). Even the gadgets are exactly the same (key rings, kids’ games…). 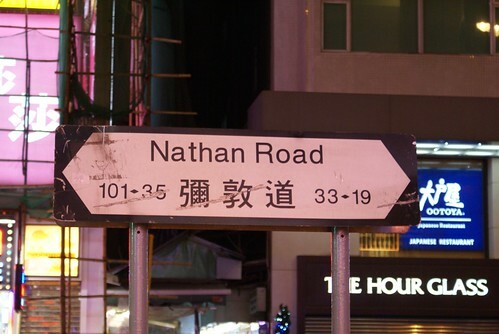 A visit to this avenue is mandatory when you are in Tsim Cha Tsui. 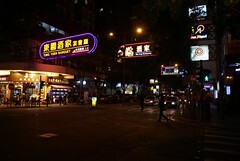 Life never stops (day and night) and the number of shops, restaurants, malls and neon lights is incredible. 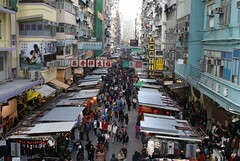 The people crowd is always present on both sides, HK Island or Kowloon. The streets are not so wide so you can have easily the feeling to swim in the middle of a people sea. The agoraphobic persons will prefer the other parts of HK (Lantau Island, South of HK Island) that I will describe in my next post.